Relatively small breed that stands 22-30″ tall (55-75cm), weighs up to 70 lbs (32kg), and is mostly tan or red with black markings. Both sexes have horns. A domestic breed. Original stock from Spain, introduced to San Clemente Island where population became feral. Now only domestic stock found on farms, livestock preserves and zoos. 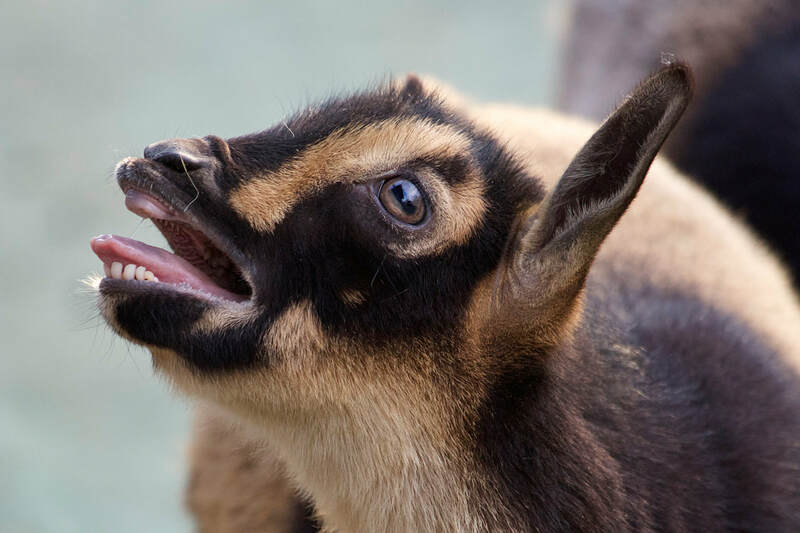 Goats are ruminants eating hay, grasses and other vegetation. Often give birth to twins. Listed as critical (fewer than 200 animals) by the American Livestock Breeds Conservancy. ​San Clemente Island is located off the coast of southern California. In the 1500’s goats were imported from Spain to the island for a ready meat source for ship crews. These goats reproduced and formed a feral population of up to 11,000 goats. In 1934 the U.S. Navy became responsible for the island. They removed the goats to farms and private owners across the country. By 1980 fewer than 4,000 goats remained. Today the island is free of goats.